Aila-Leena Matthies & Kati Närhi (eds.). 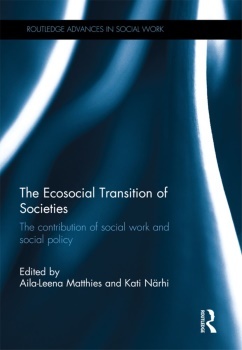 Ecosocial transition in society: Contribution of social work and social policy. Routledge Advances in Social Work. Routledge, 2017. 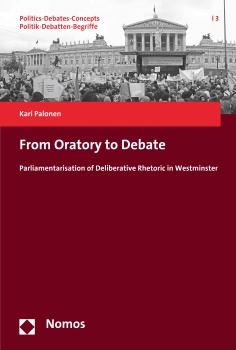 Kari Palonen, From Oratory to Debate : Parliamentarisation of Deliberative Rhetoric in Westminster. Politics-Debates- Concepts. Nomos, 2016. Marita Husso, Tuija Virkki, Marianne Notko, Helena Hirvonen, Jari Eilola (eds. 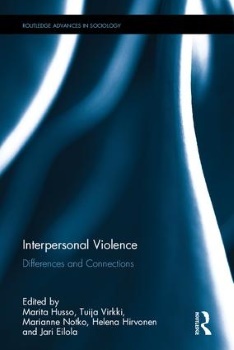 ), Interpersonal Violence Differences and Connections. Routledge, 2017. Ø. Rabbås, E. K. Emilsson, H. Fossheim, Miira Tuominen (eds. 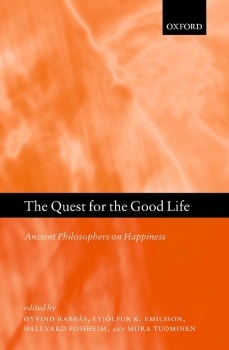 ), The Quest for the Good Life: Ancient Philosophers on Happiness. Oxford University Press 2015. Pasi Ihalainen, Cornelia Ilie, Kari Palonen (eds. 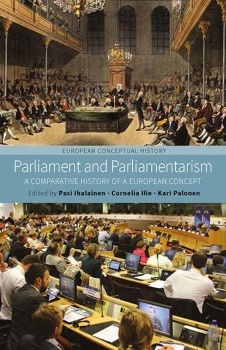 ), Parliament and Parliamentarism : A Comparative History of a European Concept. Berghahn books, 2016. Ari Paloviita & Marja Järvelä (eds. 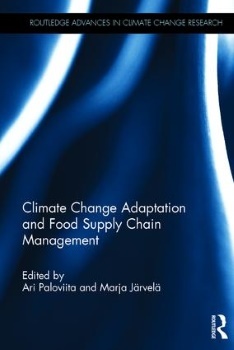 ), Climate Change Adaptation and Food Supply Chain Management. Routledge Advances in Climate Change Research. Routledge 2015. 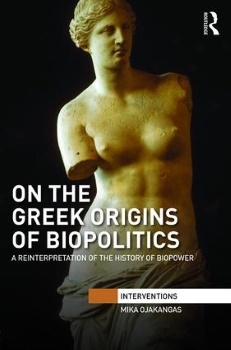 Mika Ojakangas, On the Greek Origins of Biopolitics : A Reinterpretation of the History of Biopower. Routledge, 2016. 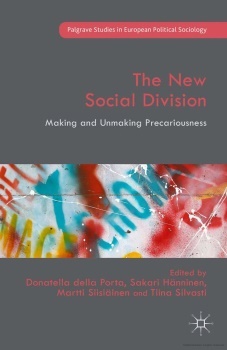 Donatella della Porta, Sakari Hänninen, Martti Siisiäinen & Tiina Silvasti (eds. ), The New Social Dimension. Making and Unmaking Precariousness. Palgrave 2015. Kari Palonen & José María Rosales (eds. 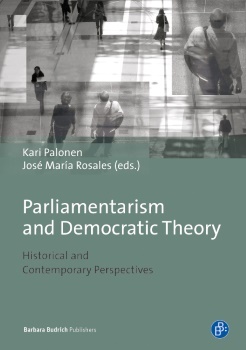 ), Parliamentarism and Democratic Theory: Historical and Contemporary Perspectives. Budrich Verlag 2015. Christiaan De Beukelaer, Miikka Pyykkönen, J. P. Singh (eds. 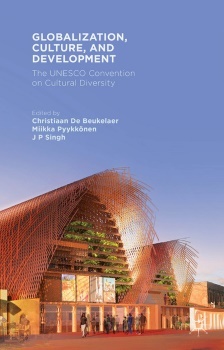 ), Globalization, Culture, and Development: The UNESCO Convention on Cultural Diversity. Palgrave 2015. Jeremy Kleidosty, The Concert of Civilizations: The Common Roots of Western and Islamic Constitutionalism. Ashgate, 2015. Series will commission books on the Frankfurt School critical theory in relation to the question of education and social settings of human learning and development. It seeks authors who can demonstrate their understanding of the history and systematical issues in the tradition of the Frankfurt School in the setting of pedagogy, education and learning. Yearbook of Political Thought, Conceptual History and Feminist Theory. Online scientific magazine on a variety of themes of civil society and civil activism. Editor in Chief: Tiina Kontinen, Department of Social Sciences and Philosophy, University of Jyväskylä. 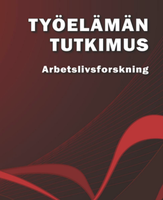 The bilingual (Finnish/Swedish), peer-reviewed multidisciplinary journal Työelämän tutkimus – Arbetslivsforskning (the Journal of Working Life Research) is issued three times a year. The Journal gathers together the multidisciplinary fields of work and working life research. Editor: University lecturer Mia Tammelin, Department of Social Sciences and Philosophy, University of Jyväskylä. Will be available as online only.